← Wenger spoke and Emery listened: A Smooth Baton Change. Iwobi had a strong first half and seems to be buoyed by the signing of a new contract. He worked well with his partner on the left flank, AMN, and together they produced some good chances. A bit unlucky not to score himself but at least his effort came off the post and into the path of the equally impressive Nelson who just could not miss from there. Loved that Alex had some good running with the ball and being very direct at times. The CB pairing of Holding and Chambers did not impress. They were too often exposed in the air and did not organise the team well with regards to set-pieces. They also were too often out of position and struggled to read the game when Lazio attacked on the ground. Lichtsteiner, Torreira and Xhaka all started (the first two had their first game for Arsenal) but they all looked rusty and struggled to make an impact on the game. Xhaka and Torreira in the centre of defence is a work in progress, especially in Unai’s experimental 4-4-2 set up: who of the two should sit deepest and who should do the B2B stuff? Lichtsteiner produced a few nice balls over the top and into the box. Why did Mustafi not play at all (good question GoonerEris)? Unai decided not to play his strongest team together and maybe this was done with the aim to keep Guardiola guessing…? I expect Mustafi to start (with Sokratis) next week Sunday. What to do with Lacazette? The man gives his all but his link up play outside the box was hasty and imprecise. I love the partnership with Auba, but only with the Frenchman as our CF operating in and around the box rather than filling the void between midfield and attack (as is often typical of a 4-4-2 system). Guendouzi impressed. Except for a few overeager runs with the ball which led to him being disposed and leaving the team exposed, he had a good game. Guendouzi offered good link up play between defence and attack and added energy all over the pitch. He also kept his head up and produced some fine passes. Mkhi had a strong thirty minutes or so. Just like Guendouzi, he added energy and forward movement with the ball at his feet in the second half. Auba scored a good, calm goal and Ozil had a few nice touches in and around the box. All in all it was a good 2-0 win even though the score flattered us due to a lack of clinical finishing by the Italians. It is hard to pull any big conclusions from the game as there were too many substitutions and the Italians weren’t as bothered about the game as our boys. But defensively alarm bells are ringing and Unai has his work cut out to get the defence to work as a well-drilled unit. The good news is that we keep scoring in every game and that we are pressing teams a lot more than we used to do. Thanks for the summary T, I’m gonna watch the game now If I can. I also guess Mustafi and Sokratis will be the preferred 2. So far this pre season I’ve been amazed more than impressed with Guendouzi. Love to watch him, and it’s not the hair. I’m confident that we’ll love Torreira. Cech looked great the other day, but what little I saw of Leno so far, he’s more of my type of active keeper, sweeper who helps when our defenders may get caught out, and apparently Unai has a history of playing a high line (Sokratis is not fast), and also loves marauding fullbacks. So I would make Leno the first choice, eventually, if not right away. On the closing transfer window, so little has happened except for liverfool, that this will either be the most exciting transfer week ever, or a giant bust. I really like what we’ve done, but I’m an optimist for us, and assume Sokratis and Leno will be great….. you know I already love Torreira and Guendouzi. I’m just happy that we tried to emphasize defensive players, since our attackers are strong. But why are we so bad at cashing in on, or selling players when we need to? I hope we get decent value for Ramsey if he goes, he’d better not leave on a free in a year. Can we bring in any cash this summer for Welbeck, Ospina, Perez, maybe others. Iwobi just renewed, is it true that he went from 35k to 70k? Did he earn that kind of raise, really? Could some of that money have gone to Ramsey? An integral part of the team, and a great choice for captain. The amounts we got for Szczesny, Giroud, others,… underwhelming almost every time. Lastly, from what I’ve seen this pre season, we really have to get better at pressing as a team. We don’t have to be like a Pep or Klopp team, but we really need to do some work on it. I know, it will take a while, but I hope we can transition our style sooner than later. Pre-season matters only to see what works or could work and what doesn’t, AND to get some match fitness and familiarity. After that, hard to read I think. Starting lineup vs MC? I predict what a lot do, with around 2 surprises we didn’t see coming. Two because GK could be either or, so some are certain to be surprised. And because Auba plus Laça or just Auba…. I thought we did some great pressing last night, especially in the second half. Have a look. Iwobi is young and £70k is the going rate for what he has to offer/ promises to become. Ramsey.. is it a matter of money or is it a matter of wanting to play somewhere else in the prime of his career? I sense the latter and that is fine with me. Too injury prone and too much of a slow re-starter to be a key player at Arsenal for me. So whatever happens, I am happy, even if it means he goes on a free next summer. I’d definitely love to see Ramsey use the door so dembele could come to us..I know this statement will definitely annoy some but if we are to play perfect pressing football, we need a typical winger who’s good at dribbling and is a speed star ..bellerin hasn’t been at his best lately so a winger could ease the pressure on him and make his runs useful again.. Ramsey on the other hand may have a replacement already in the squad .. the mad dog is a little bit like Ramsey but way better defensively while Guen stefani is also a little bit similar but with the storm breaker as a right foot.,the boy can locate a teammate in asgard… I’m kinda optimistic for the coming season but that’d get better if and when we get a winger.. COYBG!!!! Agreed. It is also about finishing a preparation and having a plan, formation and rough first eleven to start the (challenging start of the) season. Where are at the moment: Europe, NZ or..? Not sure whether we need a winger, Volting G. Effective wingbacks looks like the way forward, and Licht and Bellerin will compete with each other for the right flank. And there is also Nelson for the games we decide to play with a more typical winger. 1. They could be more effective but Kola, Nacho, Licht and Bellerin are wingbacks imo. I don’t mind a winger in the team, but by playing Auba, Ozil and Laca we have added speed and penetration on the wings. Good summary TA, Kola is out injured and Nacho came back with a knee problem. Hopefully AMN will be deployed for only one game and Nacho will be back against the Chavs. We play with better willingness to attack but the finishing is still a worry. Hopefully the team will look at the video of the latest game and made more advances to their passing and make less mistakes. The game at Citeh is a challenging one, more challenging compared to Chavs. Fine observations, TA. Also like the points made by Jync, along with your reaction to the issue of Ramsey and sell-on value on our out-going players of late. Liverpool make a kill on their players (Suarez and Coutinho come to mind) while we practically have to barely break even (if you consider wages and agents’ fees). Important that we up the quality of our players so we can expect good fees if/when they have to leave. Ramsey should be good for £50m in my view, but when we have to delay the decision until they have a year left (van Persie, Alexis, now, Rambo) that’s what we get, I guess. I do hope you are right about Observation 5; we shouldn’t be selling Mustafi now. 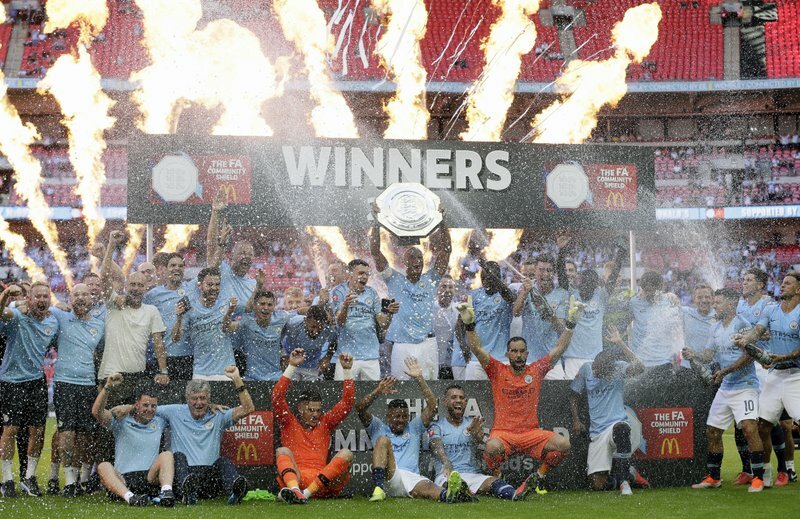 I keep on hearing/reading fans’ concerns about our defence, and if City do give us a mullering then I guess those concerns will be seen to be valid, but that’s 4 serious games against top quality opposition, 2 wins, 2 draws, only 1 clean sheet, but no more that one goal conceded in each game, strangely enough two headers and a penalty! The defence/team didn’t fold despite going behind to Chelsea and Atletico, two teams who on the face of it have better, more organised defences. I keep on hearing about poor finishing from our opponents but no credit given to our defenders. Well if our opponents finishing is bound to improve then surely our ‘lax’ defence/ de-fense will also improve? 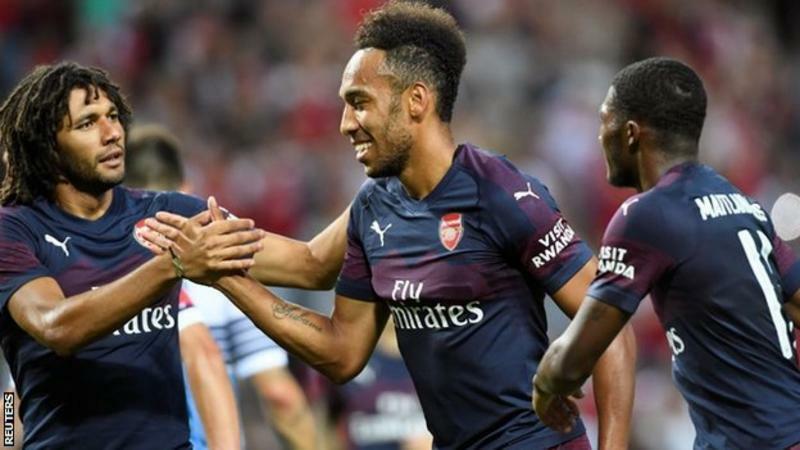 Emery has spent this summer mixing n matching with what he has available, I’ve seen quite a few positives from the three games I’ve seen, so I find it hard to balance the doom and gloom I’m getting from some of the comments/commentators across the Arsenal blogs. Maybe I’m just a massive optimist and a tactical dummy so let’s see where we are after City (h) and Chelsea (a), but I’m sticking with what I said after the fixtures came out and that I’d happily take two draws from those opening two fixtures. Leno for me in goal, he looks calm, composed and I like his footwork. TA, good observations. Still difficult to be certain about conclusions seeing that pre-season is all about fitness, experimentation and conclusions either way. 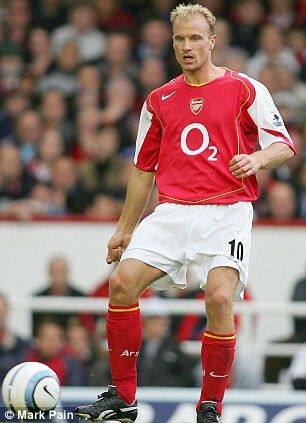 For example playing Douzi that much might be the Emery trying to make up his mind EITHER WAY. Not playing Mustafi might again mean that he has made up his mind about him EITHER WAY. We can only guess. On thing that has stood out for sure is that he wants his team playing out from the rear. And that can help us draw conclusions about who’s going to be our 1st choice keeper. Emery has a tough tast of winning while rebuilding. Great point Pony, I’ve been thinking what a tough job Emery has trying to make this team his own, and it’s one reason I mentioned the pressing he wants. At this late stage, Nacho may not be ready for City, and with Kola out, who becomes the starter at lb this week ? AMN ? One of the kids we’ve seen? Whoever it is, I’d tell them to be less adventurous only because City are such a handful to defend against. I Agree with Kev, a draw vs city would be considered a great result. But I expect better vs Chelsea. Btw, I wasn’t digging out anyone on here, it’s just the general theme, driven by press negativity surrounding in particular Leno and Sokratis and the stuff that’s come out of the German press and from German pundits. Chambers to Fulham on a season-long loan. Neither did I, jw1; I doubt anyone did except SIRE and young Chambers. Bizzare decision as if anyone should be going out on loan, it should be one of Mavropanos or Holding; always saw Chambers as closer to first team place than those two and given our injury record, defence was the last place I expected to see exits. Emery had better have a plan in mind; even if we are bringing in someone, it has to be one who goes straight in or it won’t be fair on Chambers. We will just have to wait till it is official. Thought several times during the WC that he would be just the kind of bastid we could use in our defense. Talk followed that to acquire Vida– that funds might need to be raised via sale of either Mustafi of Welbeck. It’s thought an offer of £25M would be required. The loan of Chambers to Fulham– lessens the number of CBs at the club– which fits with this possibility. Also read that Vida can play at any spot across the back-4. Hi all.. Another nice 8 things TA.. hehehe.. The first good thing is that we will win the ICC.. hehehe.. Only miracle can change it.. Only if Intermilan win against Atletico by 4 goals.. Not a big thing but still mean something.. hehehe..
About the game.. Although I only saw on youtube.. the team did ok.. Torriera is good.. just not great enough.. He must given much more time to be out next Cazorla..
TA.. I don’t agree with you about WB.. Bellerin and Kola yes.. But Monreal and Lichsteiner not.. Both were very strong in defence.. I just can’t believe Chambers loaned after sign a long term contract.. And about Mustafi.. Somehow I see he will be more effective if we play with 3 CB.. Although Emery tend to play with 4 back.. I don’t think Mustafi will be sold..
And don’t worry about Niles.. He is strong enough.. Good enough for LB position..
For me AMN is even better than Kolasinac..
For our game against City.. I hope we put Lacazette as our CF.. Auba and Mhiki as the Wingers.. Ozil in the middle..
Maybe Bellerin can rest for I believe Licht can give more solid rock to overcome Sane, Sterling or Mahrez.. The last.. I don’t think we will add anybody.. Not even Dembele.. hehehe.. Although I love to see him at emirates, We sirely don’t have that money.. and Barca will only sell him to gain cash.. hehehe..
A. TA, I’m in NZ, Brazil for a week of work in early September and Belgium in November it seems. B. Henry, Chambers loan likely for game time so he’s ready in a year or so. Short games in cup and bench time aren’t good finishing schools. C. I figure playing MC first is good. They’ll likely be great this year but first few games are anyone’s guess often enough! Opportunity? I have seen that bit of transfer news too, but why Chambers when we have youngsters who need the playing opportunity that a loan move brings? Unless, to prove the point Chambers is up in the pecking order, even potential suitors rather picked him than the other options. 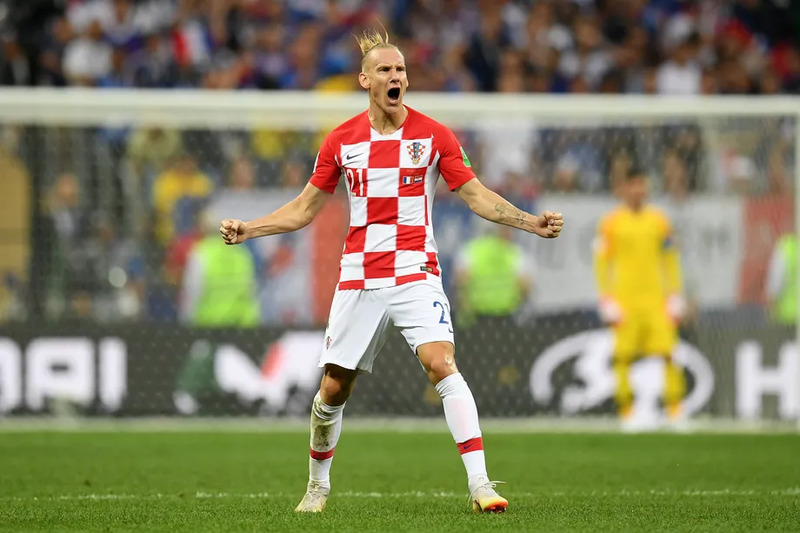 Now, for Vida, he looks mean and tough but he’s only ever played for Dinamo Zagreb (Croatia) and Dinamo Kyiv (Ukraine), before recently moving to Besiktas; and he is 29. If we are truly going for him, let’s hope his country’s fine run to the final of the WC has given him enough confidence to hit the ground running. He isn’t the quickest either and speed is one quality the EPL forwards have aplenty. That Arsenal lead all PL clubs in trophies since 2013-14 with seven. Here’s hoping some enjoyed it long into the night. Good spot there. Apparently, Arsenal don’t (didn’t ?) deserve to be happy, for some reason only the media can explain. Not happy to be reading about £4m or £5m price tag for Perez as that is so ridiculously low, it’s unbelievable. Hopefully, someone is only trying to put that out in the hope it affects our true valuation of the player. He can’t go for less than €12m, in my view and should only be sold to a side willing to pay for him. Next Summer’s TW (possibly this next January’s) are (IMHO) really the point/time where the club’s new braintrust have set their sights on upgrading. When long-range targets come available and youth prospects hit PL maturity. This season was always about pushing the ‘reset button’ and making the best of it. Love to see some kind of miracle this term. There’s a lot of talent here. But there are many players aged 28-30 too. Signs point to next season when this group might be expected to meld with the next-gen of youth and one or two signees. Dr Geoff, I have thought deeply about your request, but I cannot see either Bellerin or Lichtsteiner at left-back or even Carl Jenkinson. So I guess Mr Casual, namely Ainsley Maitland Niles will have to suffice. Kev … Mr Casual is so appropriate yet he’s got what it takes to be Mr Explosive. Tell you the truth ….. I wouldn’t mind the latter. PE, I like Maitland Niles a lot, although I sometimes wonder if he just switches off in a match, I’m not sure if you can coach concentration or focus to player, it’s either in their DNA or it isn’t. But at full back he can possibly get away with a dozy moment or two, maybe that’s his future position? There’s still a lot of business that needs attending to at Arsenal, not least the futures of Ramsey, Nelson, Welbeck, Perez, Jenkinson, Campbell, Ospina and even Gazides. And there’s me trying to be all positive and thinking a couple of weeks ago that this would all be sorted by now and we could, for a change, ignore transfer deadline day, fat chance…. Great Stuff from Kev The Positive One. It inspired a short new discussion blog. PE, sorry did not see yours till now. Will go out tomorrow my friend.